“Advanced and Modern C++ Programming: The Tricky Parts” is a two-day training course with programming examples taught by Nicolai Josuttis. It is offered at the Gaylord Rockies from 9AM to 5PM on Saturday and Sunday, September 14th and 15th (immediately prior to the conference). Lunch is included. This tutorial will discuss all these “tricky fundamental” C++ features application programmers see and use day by day. We will motivate them, understand them, and see how they should be used in practice. As a result, you will understand C++ a lot better and advance to the next level of an experienced C++ programmer. Students are expected to have a basic knowledge of C++ including C++11. Students are not required to bring any laptop. We will go through code examples together with the laptop of the presenter. 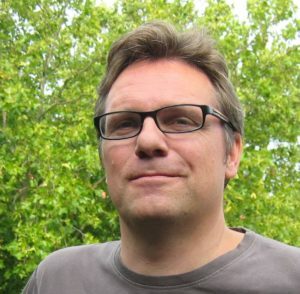 Nicolai Josuttis (www.josuttis.com) is an independent systems architect, technical manager, author, and consultant. He designs mid-sized and large software systems for the telecommunication, traffic, finance, and manufacturing industries. He is well known in the C++ Community for speaking and writing with authority about C++ (being the author of The C++ Standard Library, C++ Templates, and C+++17: The Complete Guide) but is also an innovative presenter. He is an active member of C++ standardization committee for more than 20 years now. "I liked the mix of talks from C++ experts (i.e. author, compiler/STL implementers, thought leaders) and talks from industry speakers that deal with the language to ship products. That gives some perspective on what is coming and equally important on what is really used in the field."